The Schaller & Weber story begins nearly one hundred years ago with Ferdinand Schaller as an apprentice butcher and sausage maker in Stuttgart, Germany. 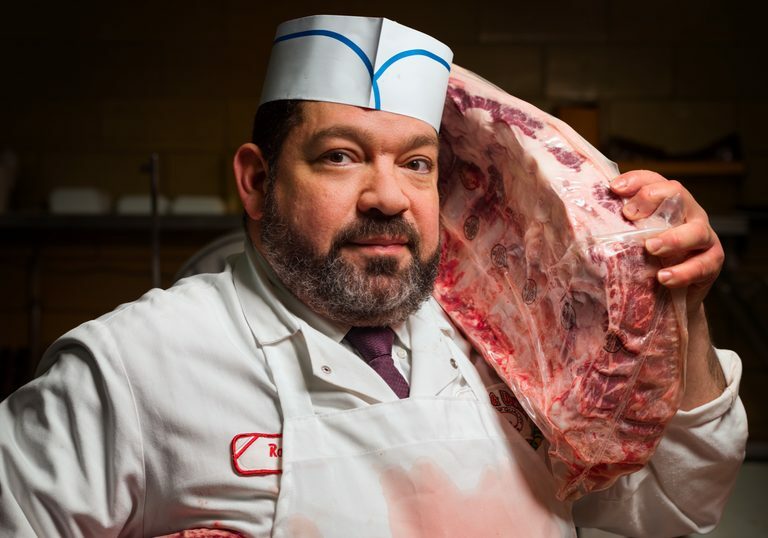 Fast forward through years of experience and adventure and you'll find Ferdinand operating his butcher shop in the Yorkville neighborhood of New York's Upper East Side. That shop became the city's go-to for authentic German meat and sausages. Today, the recipes and techniques that made Schaller & Weber a fixture on the tables of discerning New Yorkers, is the choice of people across the country who want traditional German sausages and cuts. Young Ferdinand Schaller spent his early years working and honing his skills throughout Germany and the Alsace region, until he found himself apprenticing in Hamburg. From there he would soon set sail for New York. In Manhattan, Schaller met Tony Weber and in 1937 the two opened their butcher shop in the Yorkville neighborhood, on the Upper East Side. From the beginning, Ferdinand was determined to bring the sausages and charcuterie he had mastered to his new home. In a short time, the quality and unmistakable style of their sausages and smoked meats made Schaller & Weber the city’s meat market of choice. For decades, New Yorkers passed through the doors of the Schaller & Weber store, coming for the best meats the city had to offer. The reputation of the Yorkville butcher shop grew, and soon people across the country and around the globe sought out the classic, European-style delicacies and sausages from this master charcuterier. Demand continued to grow, and by the early 1960s Ferdinand built a production facility allowing him to increase supply of his sought-after charcuterie. The juicy snap of every sausage, the intoxicating smoked aroma of each ham and the delicate flavor of our cold cut slices are proof Schaller & Weber has stayed true to what made their meats a success in the beginning. The commitment to the recipes Ferdinand Schaller created has been globally recognized, as Schaller & Weber became the first and only American sausage and meat producer to win multiple medals of honor at exhibitions in Holland and Germany. In 2000, Schaller & Weber products entered 20 products in Welser Volksfest of Austria, and came home with 14 gold and six silver medals — another first for an American charcuterier. Today, Schaller & Weber remains a New York City institution with Ferdinand's grandson, Jeremy Schaller, at the helm. Nearly a century after first opening their doors, the Schaller family still produces the one-of-a-kind products and old-world delicacies they have became known for, and their meats are still found on plates in discerning homes and restaurants around the country. While the times have changed, the techniques and craftsmanship remain the same, making Schaller & Weber truly classic charcuterie for the modern meal.